Juneathon day 18. Lazy Saturday. A short run before lunch so I could ‘slob out’ for the afternoon. I’ve discovered that there’s a 10K on the IOW tomorrow so am going to make the most of being here this weekend and go and run it. Details say it’s ‘undulating’ so I’m preparing myself for killer hills and a slower pace! It’s always a nice change to run somewhere that’s a lot greener. Up the hill to the church, past the pub and a return loop on the bridle paths. Saw a dog walker and a haughty looking horse. 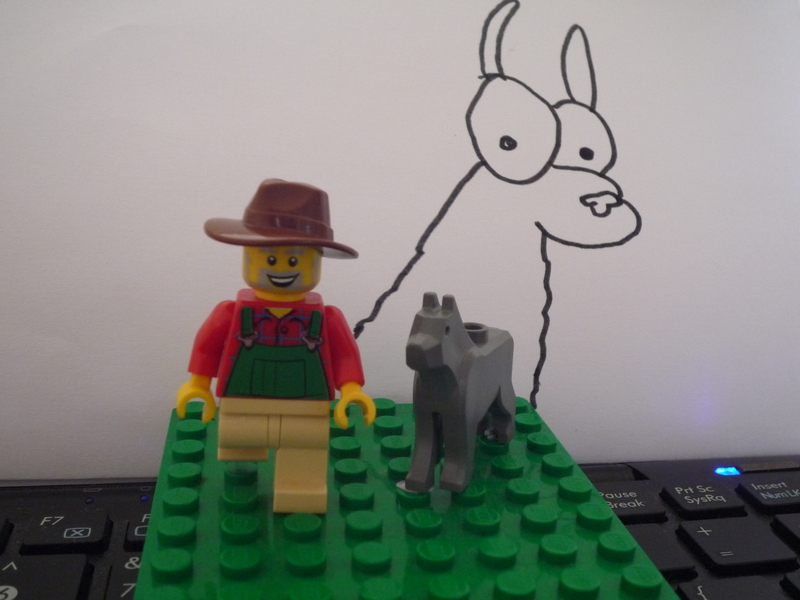 Passed the llama field and was passed by a couple of runner unfriendly cars. It’s official now this blog is published I have to go and run the 10K tomorrow morning no wimping out! Categories: Uncategorized | Tags: Juneathon | Permalink. Cute llama. Enjoy your “undulating” 10k tomorrow. Blimey, great luck there is a 10k tomorrow – am looking forward to the race report. Enjoy! I want a llama, can you bring one back for me? I love your assistant’s llama! Good luck with the racing tomorrow.